Fisheries can impact marine mammals directly by injuring or killing them unintentionally or indirectly by reducing the availability of their prey. Marine mammals can impact fisheries by removing bait or caught fish from hooks, nets, or traps (called depredation) and damage fishing gear. In some cases, fishermen seeking to protect their gear or catch may harass marine mammals that are interacting with their gear, sometimes, perhaps inadvertently, causing injury or death. Habitat degradation caused by certain fishing operations (e.g., bottom trawling) can also impact marine mammals that depend on these habitats for food. Entanglement of humpback and other large whales in crab fishing gear off the West Coast, which has spiked in recent years, was a focus at our 2018 Annual Meeting, which included the perspectives of managers, scientists, conservationists, and fishermen. multiple stakeholders. 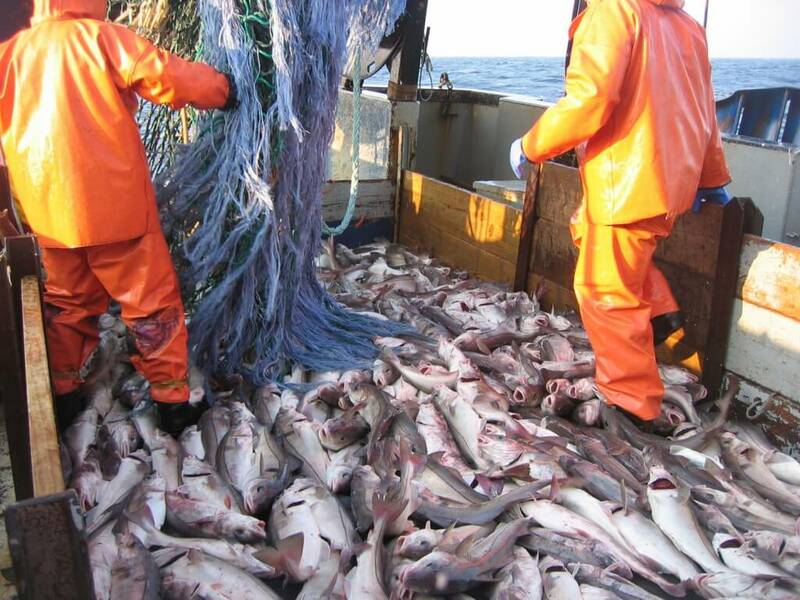 Commercial fishing operations are the largest cause of human-related injury and death for many marine mammals. The Marine Mammal Commission supports and strives to advance sustainable fisheries practices that minimize the impact to marine mammals and their environment. The Marine Mammal Protection Act (MMPA) establishes an extensive research and management framework for assessing and mitigating marine mammal bycatch in commercial fisheries. A key feature of this framework has been the development of take reduction plans developed in consultation with take reduction teams to reduce high levels of marine mammal bycatch. While this process, in most but not all cases, has resulted in considerable progress in reducing marine mammal bycatch, additional scientific and management efforts are needed to address the indirect impacts of fishing on the complex predator-prey dynamics for marine mammals. Bycatch is the number one source of direct human-caused death and serious injury to marine mammals worldwide, estimated at over 650,000 individuals each year. While the United States has made significant progress in reducing the impact of fisheries operations on marine mammals, fishery bycatch remains a serious problem in other countries. In some cases, fishery bycatch threatens to drive species to extinction–such as the vaquita in the Gulf of California, where the product of the fishery contributing to the decline of vaquita is exported to the U.S. market. Although marine mammals can be bycaught in gear being actively fished, they can also be bycaught in lost, abandoned or discarded gear, a phenomenon call ‘ghost fishing.’ One review of 76 publications on this topic found reports of over 1800 cetaceans entangled in ‘ghost gear’. While the United States is a leader when it comes to sustainable fisheries management, over 90 percent of the seafood we consume is imported. For this reason, the Commission supports regulations by the National Marine Fisheries Service to fully implement Section 101(a)(2) of the MMPA requiring import bans on seafood caught in foreign fisheries whose bycatch injures or kills marine mammals in excess of U.S. standards. The Commission provided input to the development of a draft List of Foreign Fisheries in a 1 March 2017 letter to NMFS, emphasizing the importance of including fisheries that are helping to drive marine mammal species to extinction. In addition, the Commission supports capacity-building efforts to reduce marine mammal bycatch and entanglement, particularly in coastal net fisheries. As one of the first steps in the implementation of these regulations, on 22 August 2017, the National Marine Fisheries Service published its draft List of Foreign Fisheries. The Commission provided comments on the draft list on 23 October 2017. In some fisheries, marine mammals are known to regularly remove catch from fishermen’s lines or nets. For example, some populations of sperm, killer, false killer, and pilot whales around the world have become quite adept at removing a variety of fish species from longline hooks, a behavior also exhibited by other toothed whales and dolphins in a wide range of fisheries. Depredation can significantly affect the volume and quality of catches, and therefore profits, lead to fishermen taking retaliatory actions, and increase the likelihood of entanglement or hooking of marine mammals. The Commission is working with the National Marine Fisheries Service (NMFS) and other partner agencies to better understand impacts of depredation on marine mammals and find possible solutions, such as through the development of non-lethal deterrents aimed at minimizing interactions between marine mammals and fishing gear. In early 2018, NMFS increased the threat categorization of a sablefish longline fishery in the Gulf of Alaska because of the potential for depredating sperm whales to be caught and seriously injured or killed (see Commission letter commenting on this action). In December 2014, NMFS sought comment on their intent to prepare national guidelines for the use of marine mammal deterrents (e.g., acoustic scaring devices, electrical wires, water jets, rubber bullets) that would not cause serious injuries or death. In response, in its recommendations the Commission emphasized the importance of clearly distinguishing between serious and non-serious injuries, using deterrents only when warranted, and preventing unrestricted use of noisemakers. 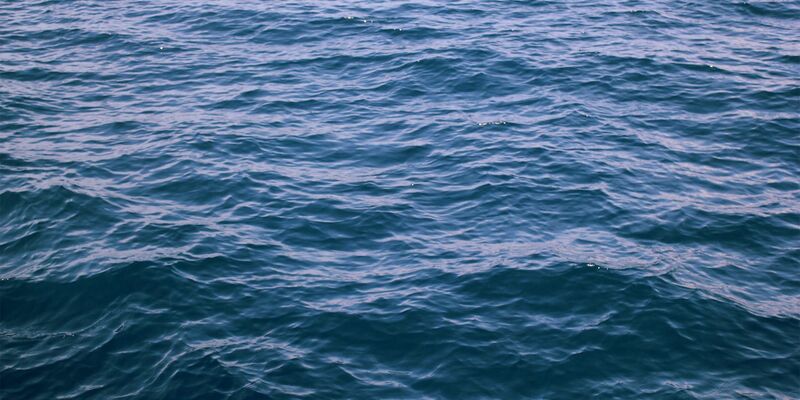 To assist NMFS in its efforts, a Commissioner and Commission staff member attended a NMFS-hosted workshop in 2015 addressing non-lethal marine mammal deterrents for fishery operators as well as others impacted by recovering species. As of early August 2018, NMFS had not yet issued the deterrent guidelines, nearly four years after seeking public comment. In 2017, the Commission provided funding via its grant program to the Woods Hole Oceanographic Institution to characterize depredation in Northeast U.S. sink gillnet fisheries. Indirect impacts of fisheries operations on marine mammals include competition for prey and damage or destruction of sensitive marine mammal habitat. While these and other indirect effects could be significant, they have received less attention by scientists and fishery managers, in part because of the difficulties in understanding complex marine ecosystems and food webs. Removing a large portion of the biomass of a target fish stock may have severe effects on marine mammals and other predators if they depend on that stock for prey. In addition, some types of trawl and dredge fishing have been shown repeatedly to significantly alter the physical and biological structure of sensitive marine habitats, potentially affecting marine mammals that depend on those habitats. Competition between fisheries operations and food availability for marine mammals has been an issue in many fisheries. For example, in southeast Alaska, fishermen catching urchins, clams, and crabs have voiced concerns that sea otters are reducing their catches by consuming these species as part of their diet. Also, the impact of fisheries taking the prey of endangered Steller sea lions in Alaska or Southern Resident Killer whales in Washington has long been a concern and controversy. Reduction in key prey species by fishing could compromise the sea lions’ foraging efficiency and, consequently, their ability to survive, grow to maturity, and reproduce at rates sufficient for the population to recover. 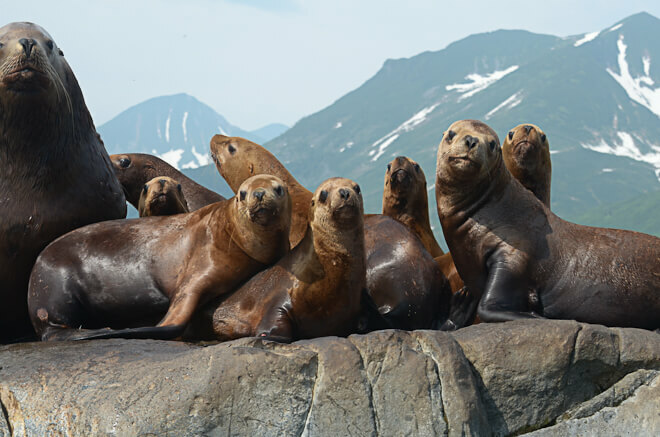 In part to mitigate this risk, fisheries management in the Aleutian Islands includes measures designed to reduce the fisheries depletion of certain fish stocks in areas of particular importance to Steller sea lions. The Commission believes that indirect effects of fishing on marine mammal prey resources should be considered when establishing catch limits for fish stocks developed under fishery management plans required by the Magnuson-Stevens Fishery Conservation and Management Act. We have provided recommendations on proposed revisions to NMFS’s Magnuson-Stevens National Standard 1 Guidelines, highlighting some of our concerns regarding the impact of fisheries harvest on marine mammals. In particular, we recommend that the guidelines for determination of “Optimal Yield” adequately incorporate ecological factors, such as the role of the target fish species in the ecosystem, such as forage fish. The Atlantic States Marine Fisheries Commission’s (ASMFC) Menhaden Management Board is developing ecological reference points that will take into account the requirements of menhaden predators, such as marine mammals, and will be used to set ecosystem-based catch targets and limits. In a 24 October 2017 letter, the Commission encouraged the ASMFC to implement the use of ‘rule-of-thumb’ ecological reference points (ERPs) to manage the menhaden fishery until ERPs specific to this fishery can be developed. However, the ASFMC decided in November 2017 to defer any changes to the single-species reference points currently used in the menhaden fishery management plan until the fishery-specific ERPs are developed, which they expect will take roughly two more years. Building evidence around ghost gear: Global trends and analysis for sustainable solutions at scale. Kelsey Richardson et al. 2019. Marine Pollution Bulletin. A review of ghost gear entanglement amongst marine mammals, reptiles and elasmobranchs. Martin Stelfox et al. 2016. Marine Pollution Bulletin. Odontocete bycatch and depredation in longline fisheries: a review of available literature and potential solutions. Derek Hamer et al. 2012. Marine Mammal Science.